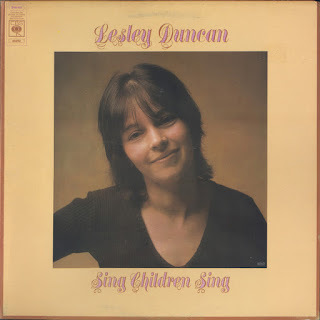 Lesley Duncan's debut album was a modestly engaging slice of early-'70s singer/songwriter rock, though not distinctive enough amidst a rapidly crowding field to command attention. Somewhat like Elton John, she blended parts of folk-rock, the emerging singer/songwriter movement, pop (though less pop than John), and bits of the Band's gospel-rock flavor. Indeed, the record is best known for Duncan's own version of her composition "Love Song," covered by Elton John on Tumbleweed Connection (and way back in 1969 by a pre-"Space Oddity" David Bowie on a home demo that's since been bootlegged). Reference points among Duncan's countrywomen might include the obscure early-'70s work of Marianne Faithfull (though not as dark) or Bridget Saint John. Duncan wasn't as folky or reserved as Saint John, but this is pretty laid-back, and too pensively even-tempered and melodically bland to make a deep impression. The sound is certainly pleasant and professional, due in large part to the presence of some big names in the session band, including guitarist Chris Spedding, Pentangle drummer Terry Cox, and most of all Elton John himself on piano. 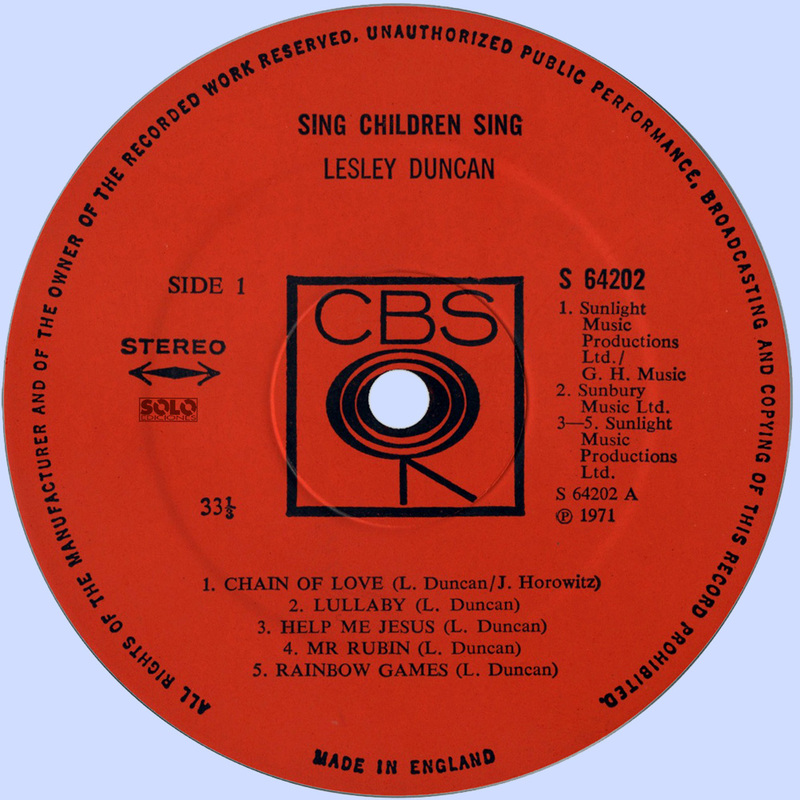 The more bittersweet-than-usual "Love Song," here garnished by some odd rainfall-like effects in the background, is the standout, while "Crying in the Sun" edges oddly close to the kind of pop/rock ballad that could have been covered by Dusty Springfield. Lesley Duncan, died aged 66 of cerebro- vascular disease, 12 March 2010.